Apple has shrugged off concerns about production delays on the new iPhone X by reporting a 19% rise in profit to $10.7bn (?8.2bn). Revenues were also up by 12% to $52.6bn (€40.2bn) in the fourth quarter ending 30 September - an increase of 12% during the same period last year.Analysts on average were expecting total revenue of $50.7bn (€38.8bn). 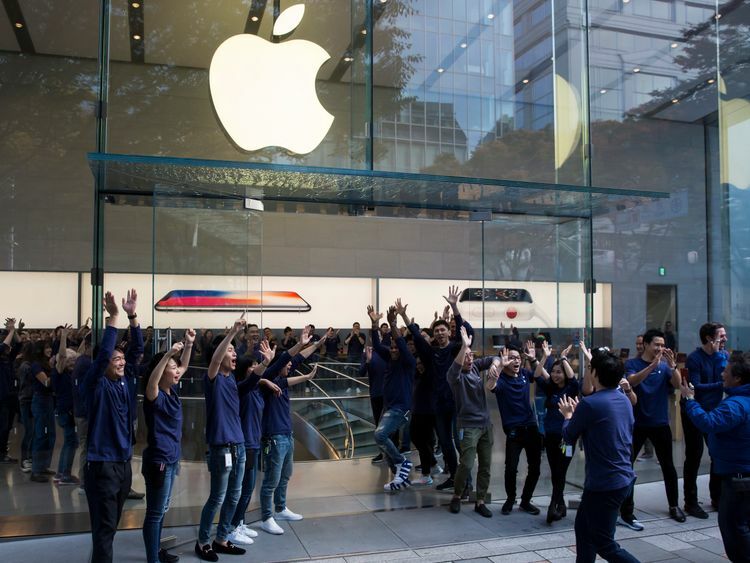 The company's shares rose 4% in after-hours trading on Thursday to hit an all-time high - as its 10th anniversary iPhone X went on sale in the UK on Friday and in many Asian markets, with Apple chief executive Tim Cook reporting "very strong" orders.At a cost of €999, it is Apple's most expensive handset with features including an edge-to-edge screen and a face ID unlocking system. :: Has Apple gone too far with €999 iPhone X?Apple also put out an upbeat forecast for the next quarter, predicting resurgent iPad and Mac sales, plus the release of iPhone X, would push up revenues to between $84bn (€64.2) and $87bn (€66.6bn). Mr Cook said: "We're happy to report a very strong finish to a great fiscal 2017. "He added: "We're looking forward to a great holiday season." The company is now worth about $868bn (€665bn), making it the world's most valuable publicly traded company. 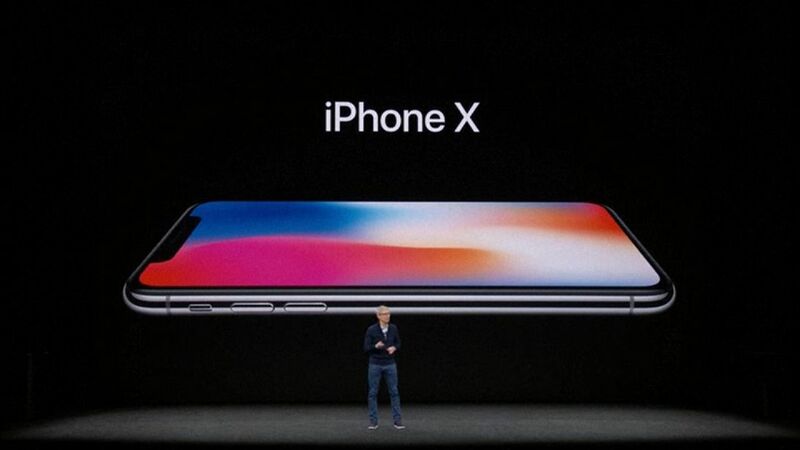 "A trillion-dollar market cap may now be in Cook's sights in light of these results and guidance around iPhone X," said Daniel Ives, an analyst at GBH Insights.It still remains to be seen whether Apple can meet demand for the iPhone X during the crucial festive season, with most analysts saying it will likely take it until next year or early spring to do so. "Where the demand curve and supply curve are going to intersect, we do not know. It does not have a predecessor product," said Apple's chief financial officer Luca Maestri.